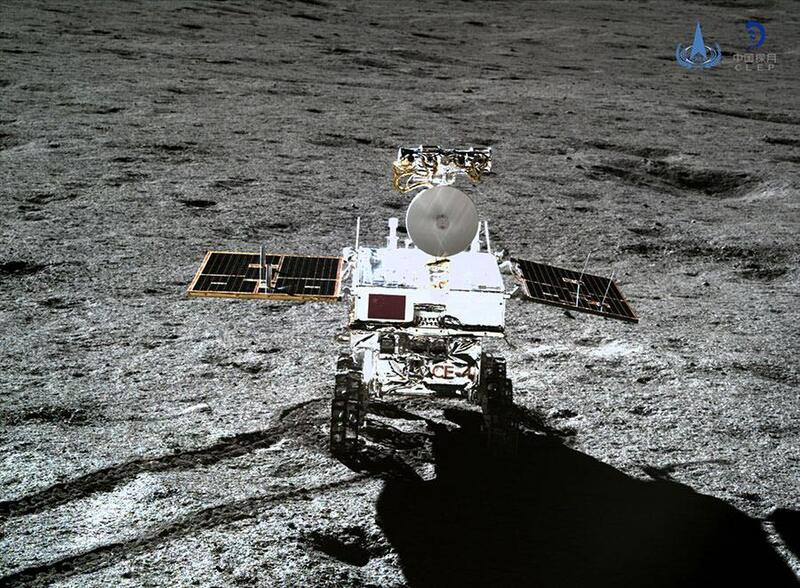 Rovers/ planetokhody are our science jam around here, and we can only blame the holidays (and their aftermath) for the delay in mentioning that China’s second Jade Rabbit (Yutu) rover is rocking around the Far Side of the Moon and has been since the third day of 2019. It trucked down the ramp of its Chang’e lander (named after the ancient Chinese Moon goddess) and started taking pictures and samples, setting up panoramas and generally roving around the empty but oddly compelling landscape. The lander itself houses several science experiments that are probably not dangerous, at least compared to what the US space program left on the other side as noted in this BBC report on all the latest from the Far Side. This page from spaceflightnow.com collects more of the best Yutu/Chang’e media and stories in one place, including first images, cool rover vids, and the famous panorama. The far side of the Moon is not known for its thrilling scenery, but getting there and showing it to the rest of us on Earth is an epic project worthy of a read. And maybe a write. Here’s another of those little poems I call “not a haiku”. Taking photographs and leaving tracks. Aboard its lander, cotton seeds are sprouting. This entry was posted in art and culture, other stuff, writing and tagged history and culture, poetry, science, writing. Bookmark the permalink.